Right now, you can download 10 free Kindle ebooks on Amazon. You will want to act fast here. Sometimes these freebies are taken down within hours of our posting them. I assure you that everything listed here was free at the time of this post (01/22/2015 at 12.30 pm est). Paleo Kids Lunch Box: Create healthy lunches for your kids using this free Paleo cookbook. You can save yourself $3 downloading this right now. The Dash Diet for Beginners: This book is typically $2.99, but today it’s free. 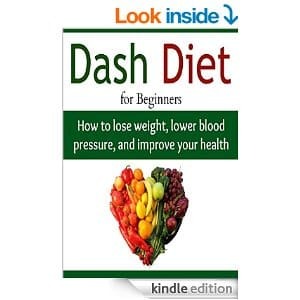 You will learn the basics of the Dash Diet in the new year using this eBook. The Quinoa Solution: This recipe book give you all the tips and tricks you need to prepare delicious and healthy quinoa. The Greatest Pie and Tart Recipes in the World: You can get an amazing degree of savings here with this free eBook. It typically retails on Amazon for $6! So, this is pretty high value. The book should certainly help you impress your guests the next time you entertain. The Greatest Griddler Recipes in the World: “Griddler” provides another high value freebie. If you haven’t made griddlers before, you are missing out! The Greatest Meals on a Budget: Do you need fresh ideas for budget friendly meals? “The Greatest Meals” may be the perfect cookbook for you! Detox Cleanse Set: Learn how to detox for free using this duo of recipe books! Boxed Set of 3 Beauty Recipes: This book includes amazing recipes such as natural rose oil and Cleopatra’s honey milk bath. Gardening Book Package: Organic Gardening & The Vegetable Container Gardening Guide: Save yourself the $6 and download this eBook for free right now! This handy gardening guide provides you will all of the necessary information to start your very own organic garden this spring. Ebook reminder: You should always check the price before hitting the 1-Click button. You don’t need a Kindle device to read this book. You can download a free Kindle reading app to your PC, Mac, phone or tablet. You may also be able to read this book on your browser through the Kindle cloud service.